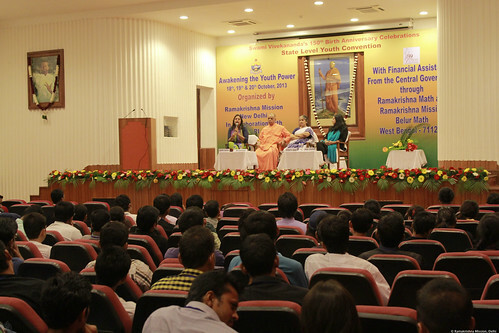 Ramakrishna Mission, Delhi conducted a three day State Level Youth Convention with the theme ‘Awakening The Youth Power‘ from 18th October to 20th October 2013. 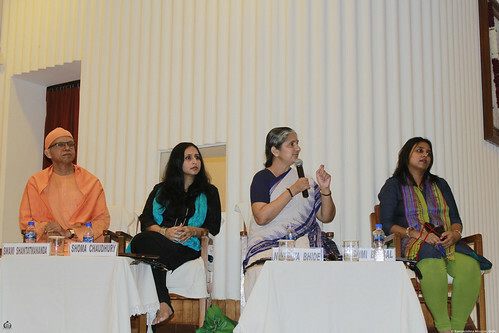 Ms. Nivedita Bhide, Vice President, Vivekananda Kendra, Kanyakumari, spoke on ‘Manifesting the Woman Power (नारी शक्ति का आविर्भाव)‘ during the session with the theme ‘Women: Leading from the front’ (महिलाएँ नेतृत्व की ओर अग्रणीय) on 19 October 2013. 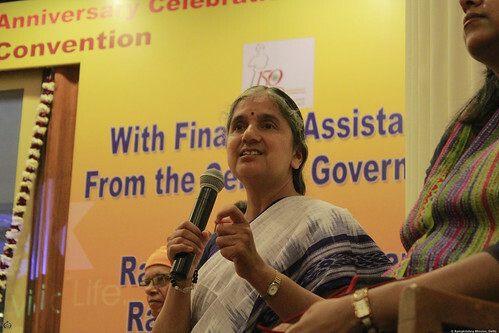 Nivedita Bhide joined the Vivekananda Kendra, Kanyakumari as a life worker in 1977 and is today the All-India Vice President of the organization. She is also the Vice President of the All India Swami Vivekananda Sardha Shati Samaroh Samiti. She has worked extensively in the fields of rural development and education. She is the author of several important books and is a renowned speaker. In 1999 she represented India at the International Meeting of Educational Experts convened by UNESCO in Darwin, Australia.